It’s the last Monday in November. 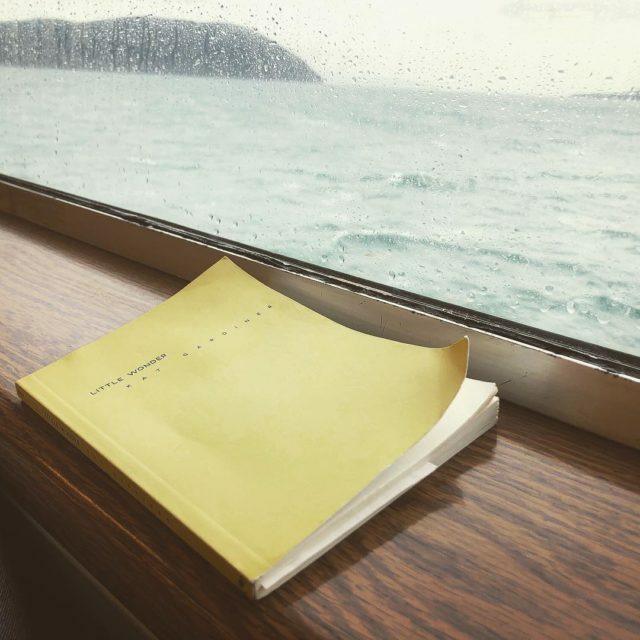 I just left on a ferry from Lopez Island to Anacortes, the setting for Kat Gardiner’s new book, Little Wonder. I’m heading home. It’s dark outside, 9pm; few people on board. It’s an introvert’s dream. In my headphones, The Cure’s “Friday I’m in Love” as done by Yo La Tengo, off a playlist from my island friend Jen. I left her house from my regular bi-weekly visit not long ago. I’m pondering the nature of this book. It’s small, quite similar in shape, size, and length, to the 33.3 Book Series. Each page is a snapshot in time, at times melancholy and poignant and at times fondly nostalgic and sentimental. Earlier today, as I set out from Anacortes to Lopez, the boat crawling slowly along due to high winds and high waves, I snapped a photo. The waves creating frothier backsplash than normal, the choppiness of the sound tossing this medium-sized vessel around, forcing it to succumb to nature, in a sense. Man versus wild, in action, realtime. It’s the last Tuesday in November. That’s what I’ve started calling them. Snippets. These brief literary glimpses into a previous life, a life once had. I’m alone at The Porterhouse with a beer, some fries, and this book. 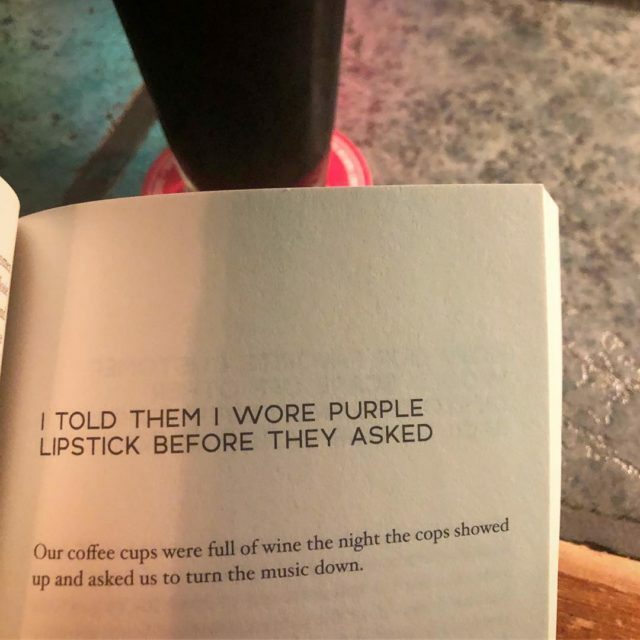 But I’m not really alone; a line of men stretch out at the bar next to me, flirting with the waitress, hoping for a chance the extroverted woman will show them a little more interest. This introvert, however, is enjoying the book. These snippets have been inspiring. I’ve started writing in a similar manner, a publicly private and secret journal, recounting modern events, though a much shorter lens: a few days post occurrence. It’s the last Thursday in November. Yesterday, I pulled the book out of my backpack and the cover ripped near the spine. It’s an odd break, three inches long. The book is becoming tattered, worn. Far from the pristine, crisp-cornered object that originally arrived in my possession. It now has wabi-sabi, a beauty both imperfect and singular. No other book has this rip, nor the smudged stain below it. I wonder how it’ll look when I’m done. It’s the first Sunday in December. Small business, big competition. It’s fascinating and heartbreaking at the same time; in the small northwest towns near the Canadian border, we have a small business mindset. Support local. But it’s often not enough. Case in point with “Little Wonder”, as Gardiner recounts starting out the front window at the lines pouring out of the nearby Starbucks. What could be done? Going up against a behemoth like that? Gardiner’s style of writing is sometimes witty, filled with a wondrous humor, a lonely sadness, a fond goodbye. Creative and astute, unabashed at the blatantness of failure, of broken dreams, at one moment there’s an inside joke about an oddball frequent customer (Anacortes is filled with them) followed by a painful memory of crying in desperation in an empty, vacant shop. Don’t tell anyone they’re vegan. “Little Wonder” is filled with these quips. Page 61. I’ve had this tiny book for weeks. I just realized there are only 94 pages. What’s taking me so long!? Am I really that distracted by shiny objects? Little did I know, I’d get pulled in on this quiet, cold winter Sunday in early December, and I’d finish the book with ease, as Caribou’s One Love spun on the record player beside me, and our fake, sparse, twig LED Christmas tree twinkled elegantly in the corner. Dusk grew near and the sky darkened entirely. 5pm, done. I slipped down a rabbit hole recently, and I’m not sure I’ll ever fully recover or get out. I took the Myers-Briggs personality quiz (a few times, actually, with consistent results) and I am an INFP. The more I read about this personality type, the more I find how accurate it defines me while also learning more about myself (hows and whys) in the process. I’m drawn to sadness. I’m attracted to it. It’s part of who I am. And there is no other personality type so attached to it as the INFP. Yes, I have a type, that’s clear to me know. INFPs see sadness as a step toward something better, as opposed to the crushing hopelessness most others feel in their darkest moments. No other personality type, to my knowledge, will step off a pedestal and join a friend in this sadness to help them crawl their way out. 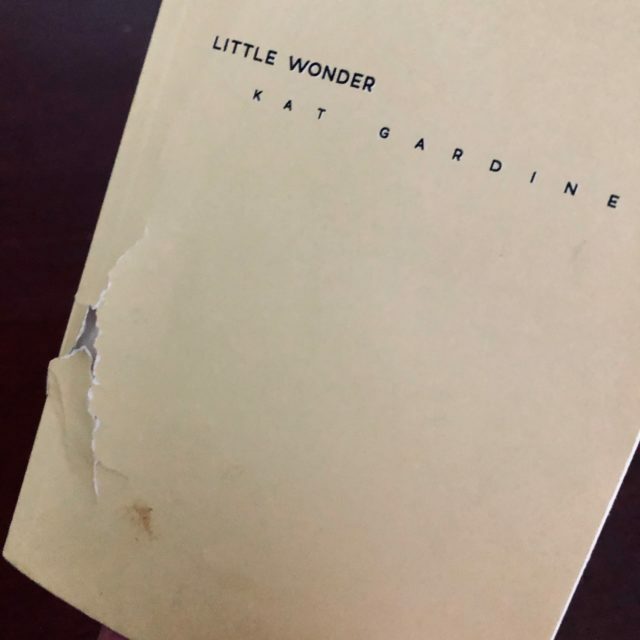 In some ways, this is why I’m drawn to books like “Little Wonder”–would Kat Gardiner have gone on to write an amazing book had her experience with this little cafe gone any other way? Would she and her husband be where they are today, were it not for each and every one of these little snippets she recounts? In sadness, there’s always something brighter and shinier just beyond the horizon. It just takes a little time to get there. Regret is silly. Regret means you wish you weren’t the person you are today, and you’ve backtracked from continual, inner growth to something different. I don’t believe in regret. I believe in processing experiences to better understand them, in relishing in the good moments, in taking lessons from the bad to become a better person next time. These beliefs coincide with my takeaways from “Little Wonder”, a quick read for anyone but myself, apparently. Nickname: “Fireball.” Mantra: “Half Glass Full.” More than anything else in this book, that line stood out, impacting me in ways you cannot even imagine; and I got a bit emotional.